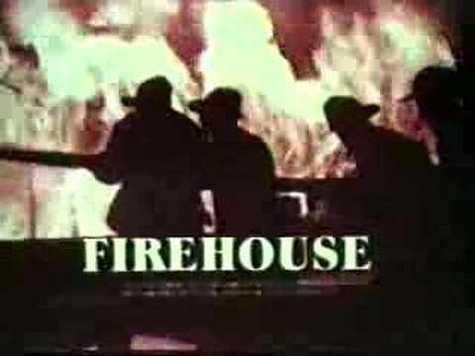 James Drury plays the father figure for the firemen of Engine Company 23 as they encounter various disasters and perform emergency rescues each week. The Captain is trapped in a mine after a cave-in. Time is the antagonist as the firemen work feverishly to free their Captain and construction workers trapped in a tunnel with a high gas-to-air ratio. Guest Stars: Robert Donley (Scola), Joaquin Martinez (Keegan), Joe Di Reda (Mike Stenock), Don Dubbins (Mills), Karen Carlson (Diane Harding). Episode #12 - "Watches Of The Night"
A fashion model warehouse goes up in flames. Fashion designer Rudi Gernreich makes a cameo appearance as a proprietor of a fashion house hit by fire. Also: the firemen extinguish an apartment blaze caused by an overloaded electrical outlet. Guest Stars: Scott Smith (Scotty Smith), Rudi Gernreich (Himself), Lisa Lu (Mrs. Song).